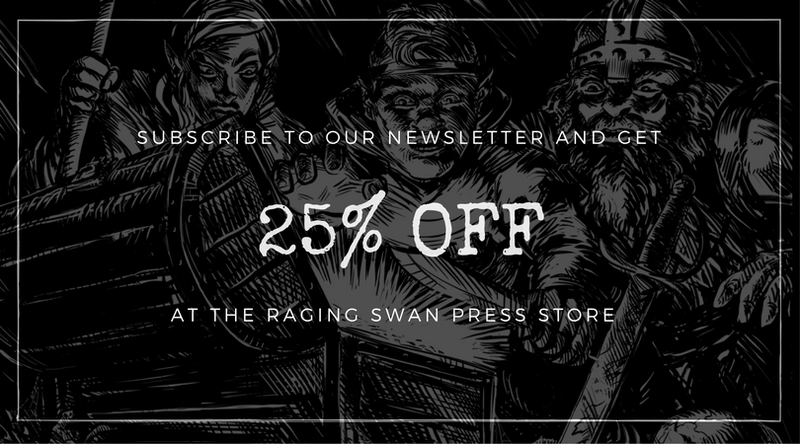 Raging Swan Press has its own online store where we sell our Pathfinder, 5e and System Neutral Edition PDFs and poster maps; using our store means more of your generous support goes directly into our (heavily warded) treasure chest. Alternatively, you can purchase our products on our commercial partners’ sites. We have also started to release add-ons at the Fantasy Ground store for all you virtual tabletop gamers out there!